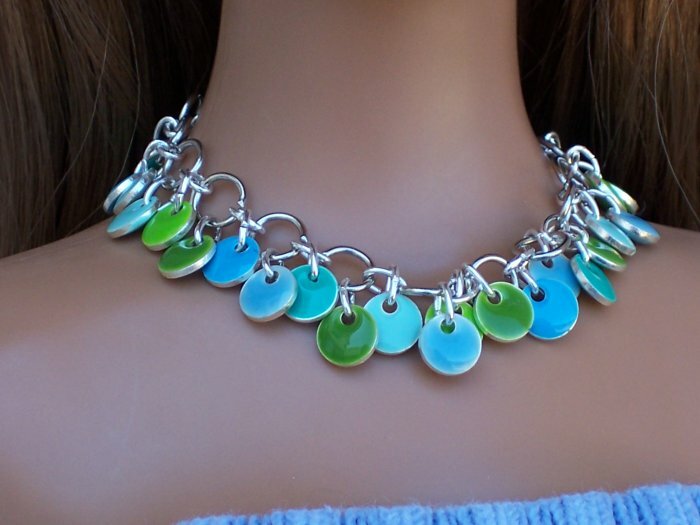 Enameled discs dangle from silver plated chain. This accessory adjusts from choker to belt, depending on where you fasten the s-hook. Price is for jewelry only. Doll not included. I offer FREE SHIPPING to US and Canada for all jewelry purchases- unless otherwise specified.